(MENAFN - PRLog) Cosmetic dentist in West Palm Beach Dr. Brian Ferber, DMD of Ferber Dental Group uses innovative technology to reimagine patients' smiles. 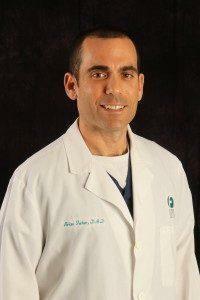 1 2 Dr. Brian Ferber, DMD recreates smiles as a cosmetic dentist in West Palm Beach. Ferber Dental Group offers the best cosmetic dentistry in West Palm Beach. WEST PALM BEACH, Fla. - April 11, 2019 - PRLog -- A smile can say so much. But, when left without proper attention and dental care, a stained, uneven, and unattractive smile can negatively impact overall health and self-confidence. However, with the guidance of a leading cosmetic dentist in West Palm Beach, patients can achieve the smile of their dreams . There are several ways to go about restoring the appearance of a smile . For starters, we need to evaluate the health of the smile. Are there broken or cracked teeth? Is the smile properly aligned? Is discoloration surface-level or deep-rooted? This will allow us to create a plan of action. Many patients love teeth whitening. At Ferber Dental Group, we offer Zoom whitening which involves a concentrated agent activated by a specialized light. Within one quick treatment, you can see results. However, for a more intense polishing, we might suggest porcelain veneers. With veneers, you can opt for minimal improvement – maybe just one or two teeth need reshaping. Or, we could create an entirely new smile with professional smile design. Lastly, Invisalign clear aligners can readjust the alignment of a bite to straighten teeth, close gaps, and improve function without the clunkiness of traditional metal brackets and wires. Depending on your needs and your goals, Ferber Dental Group has the technology and techniques to improve your smile. So, if you're interested in seeing a cosmetic dentist in West Palm Beach, please do not hesitate to contact us today to schedule an appointment. The Ferber Dental Group is a state-of-the-art dental practice based in South Florida, including offices in Greenacres and Boca Raton. Our dedicated staff strives to provide every patient with a pleasant visit and results that they're proud to show off. In addition to general dentistry, Ferber Dental Group offers innovative smile restoration options, as well as periodontics.